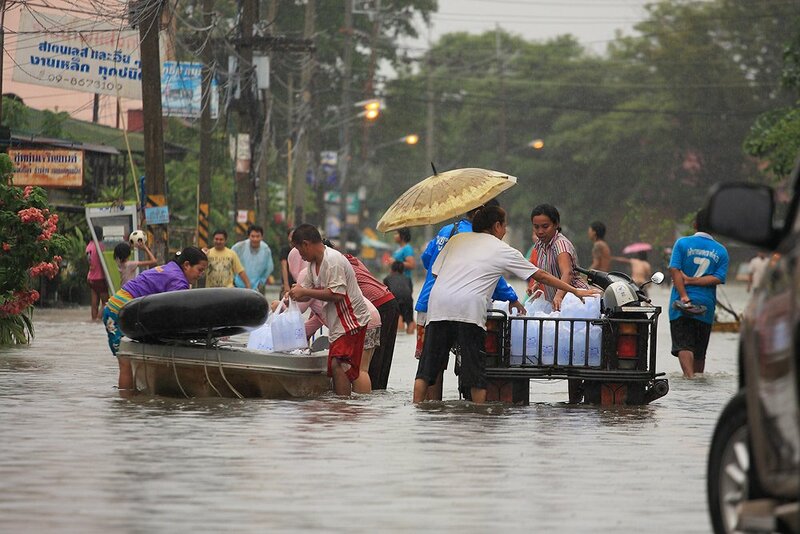 The death toll from floods in southern Thailand has risen to 53, the government said on Tuesday, as parts of the region remained inundated by high waters. Southern floods. - Photo by krungshing.com. Seven provinces are still heavily flooded after unseasonal downpours began almost two weeks ago, affecting the livelihoods of more than two million residents and forcing more than 40,000 to evacuate. In addition to the 53 deaths, one person is missing in Nakhon Si Thammarat, one of the hardest hit provinces, the public health ministry announced. Flooding has eased in three provinces, the department of disaster prevention and mitigation said, after thousands of roads and bridges and hundreds of temples and schools were damaged. Bad weather last week stranded thousands on islands in the Gulf of Thailand and Andaman Sea, prompting the government to send in the navy to rescue people from Koh Tao and Koh Phangan, where food and water was running low. Ferry and air links have since resumed to most holiday areas.